Activity management in long term care facilities. but a surface of excitement. process. I also teach a process oriented watercolor class in Northern NJ. journey to greater self awareness and skill development. 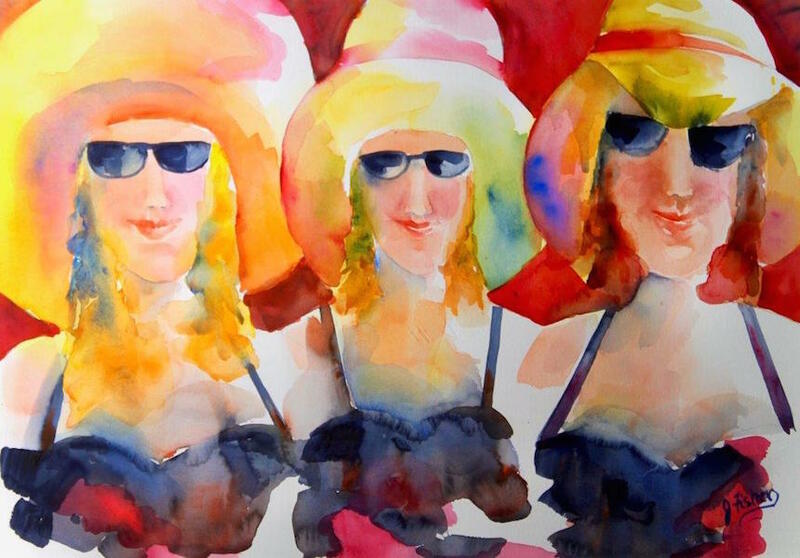 June Fisher-Markowitz, “Les Madames de Fauves”, watercolor. 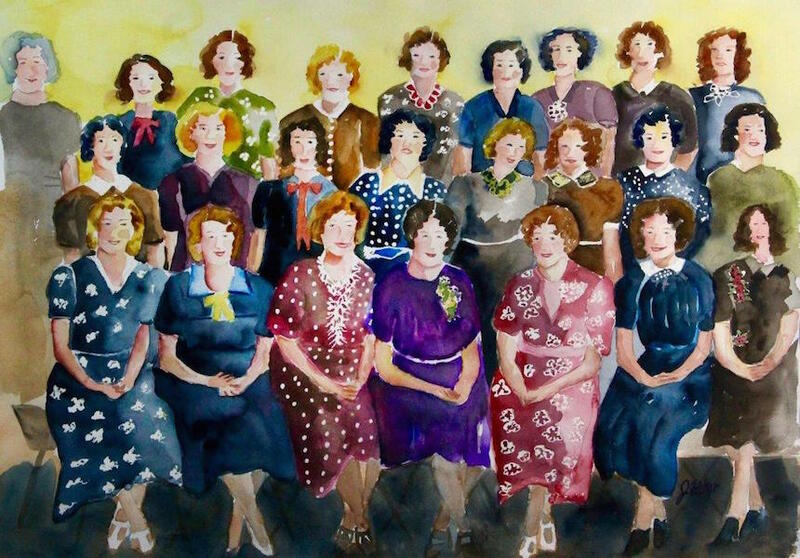 June Fisher-Markowitz, “Worth the Wait, watercolor. 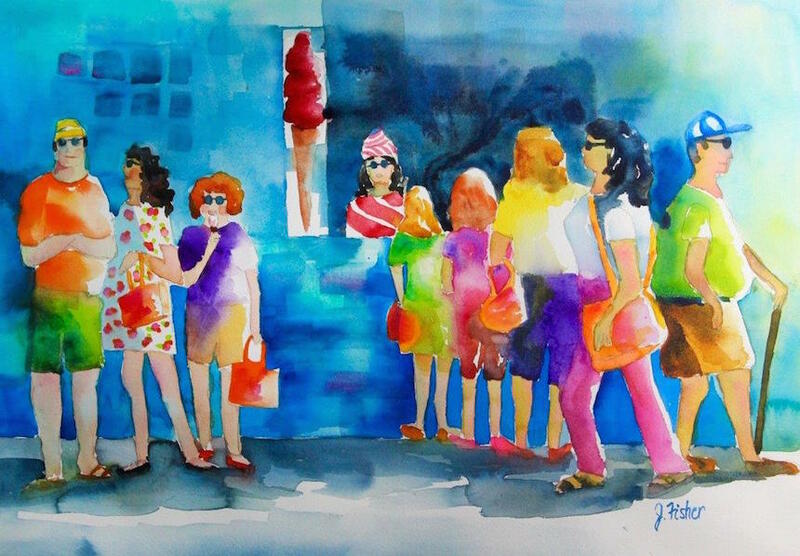 June Fisher-Markowitz, “The Outsider”, watercolor. 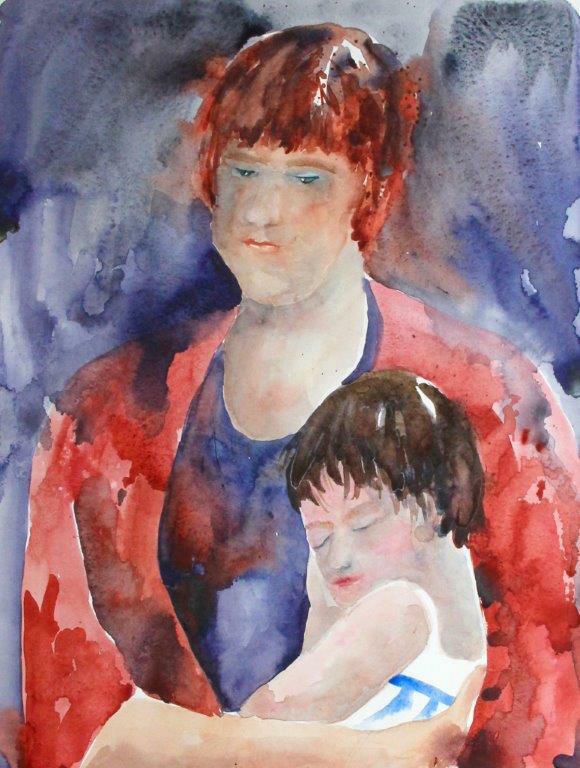 June Fisher-Markowitz, “Mother Daughter”, watercolor. I love June’s work! She has evolved in the years I have known her and is finding her place. Her colors get more beautiful with each piece. The yupo pieces are extraordinary! !